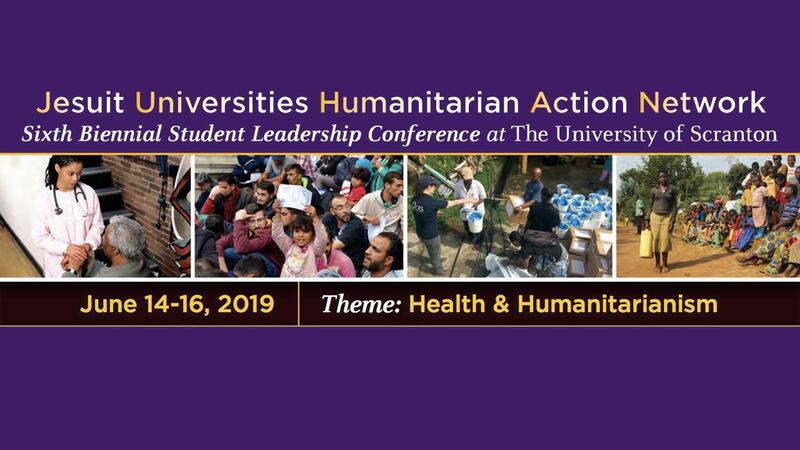 As we are sure you have heard by now, the University of Scranton is hosting the Sixth Biennial Student Leadership Conference of the Jesuit Universities Humanitarian Action Network (JUHAN) from June 14-16, 2019. JUHAN’s principal focus is undergraduate education that seeks to advance humanitarian study and professional practice in the field of humanitarian action. Across the Jesuit network, we hope to expose students to these areas through academic courses, student leadership workshops, and lectures in areas related to social justice, human security, and international human rights. At the June conference, we will have plenary and keynote speakers for all in attendance, as well as more specialized breakout sessions from which participants can select one or another. Breakout sessions are typically very diverse. Some involve unique campus programs. For example, three University of Scranton students presented our campus programming surrounding the Refugee Solidarity Initiative at Holy Cross 2017. Other presentations were based upon undergraduate and graduate student research projects, often connected to theses, Community-Based Learning projects in their university towns, or mission-based initiatives overseas. Finally, faculty and staff have delivered sessions (with and without students) on their research, teaching, and service around humanitarian issues broadly understood. You can read more about options and submit proposals, including poster presentations, on our website (scranton.edu/juhan). 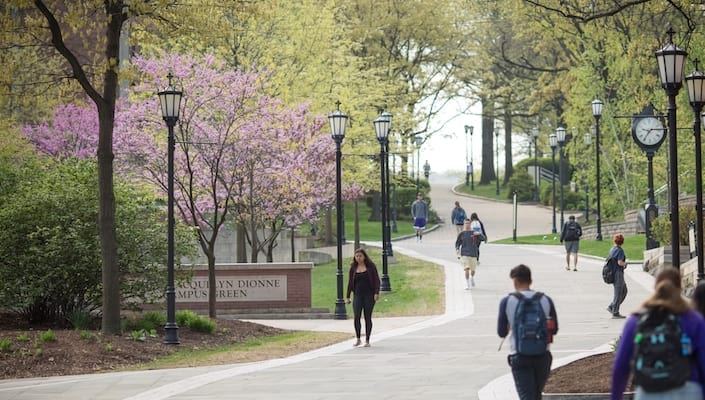 Through University of Scranton Strategic Initiative Funding, we have resources available to cover most costs for student attendees and some for staff and faculty. If you could first apply for conference funding through existing avenues, that would help us provide support for those attendees who don’t have funding available. We would then do our best to make up the difference for you. Registration details are on our website. We would be more than happy to speak with you and your students (classes, programs, or organizations) about JUHAN 2019. In the meantime, please share our promotional materials and visit our website at scranton.edu/juhan. Follow the Political Science Department on Facebook, Twitter, and LinkedIn.